Did you know Hop The Fence has been on the air over TEN YEARS?!! Did you know CHUO is now holding it's annual funding drive? Here's another question for you... Why should you contribute to our annual funding drive? Because all the people who donate are extra cool, much loved and well respected! Because we have great prizes! $25 donation – Friend of CHUO card! 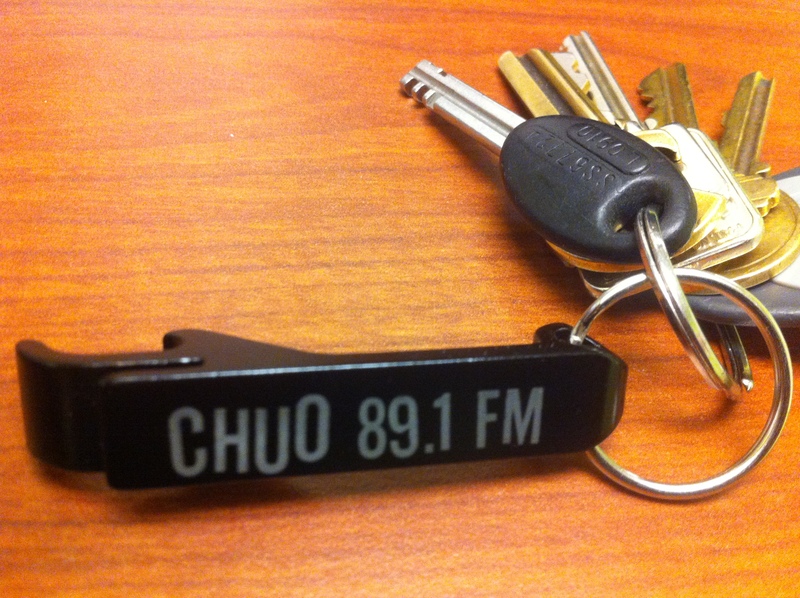 $30 donation - CHUO bottle opener/key chain + Friend of CHUO card! $60 donation - Entry into 2 grand prize draws! (1 entry into National Arts Centre draw + 1 entry for Beau’s Natural Brewing Co. draw) + CHUO t-shirt + CHUO bottle opener/key chain + Friend of CHUO card! $120 donation - Entry into 4 grand prize draws! (1 entry National Arts Centre draw + 1 entry for Beau’s All Natural Brewing Co. draw + 1 entry into Black Sheep Inn draw + 1 entry into Via Rail draw!) + CHUO t-shirt + CHUO bottle opener/key chain + Friend of CHUO card! By email: Send a message through the "Contact" page let me know how much you'd like to pledge. Include your mailing address and phone no. 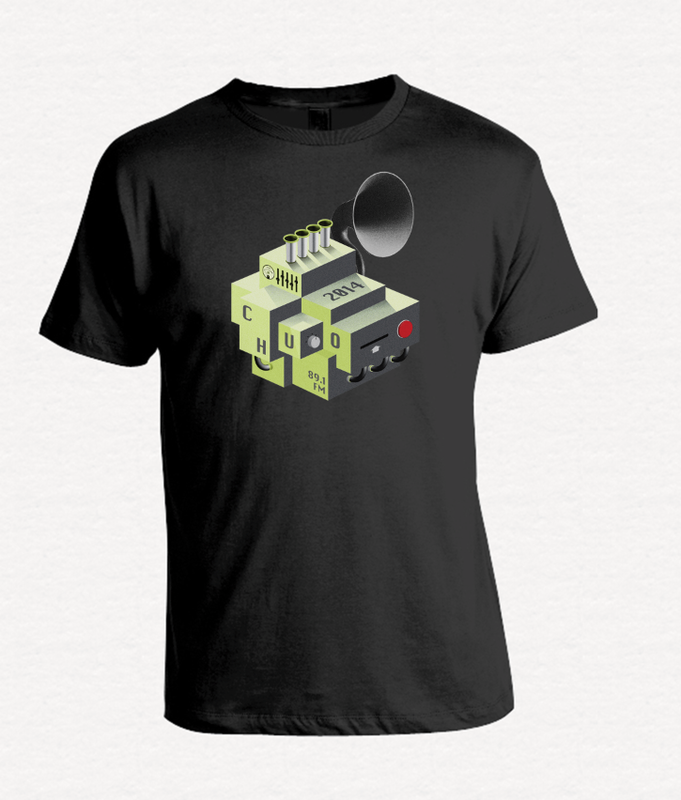 We will send you an invoice. By phone: Call me during the show on Friday from 5 to 6 p.m. (EDT) at 613-562-5968. Credit cards also accepted. Alvvays: This up-and-coming quintet hailing from various parts of the East Coast is fronted by Molly Rankin -- yes, of the great Canadian Rankin Family! But don't let that steer you in the wrong direction. Molly is representing her own generation with aplomb. Snare drums and the usual rock paraphernalia are combined to form upbeat indie-pop tunes. Alvvays are in at Zaphods on Friday night. Meet them here on HTF first! Lindsay May: Life is too short to be occupying our days doing work we don't really enjoy. We all know it, but few of us get hit hard square between the eyes to truly come to this realization. After losing loved-ones a few years ago, Lindsay decided to leave corporate life and delve head-first into her songwriting and performing career. Wielding acoustic guitar and mandolin, Lindsay will be in Ottawa on March 13 at The Daily Grind to present her latest work, Girl with Grit. Tune in on 89.1 FM in Ottawa at 5 pm every Friday. You can also listen on-line at www.CHUO.fm or find us on iTunes under college radio.